Let’s Get to Know … Carly Windt! Transitioning from the structured workout schedule of a college athlete to running on your own after graduation is not easy. But Carly Windt has made it work, while working a full-time job that sometimes has her doing 1st, 2nd and 3rd shift all in one week! 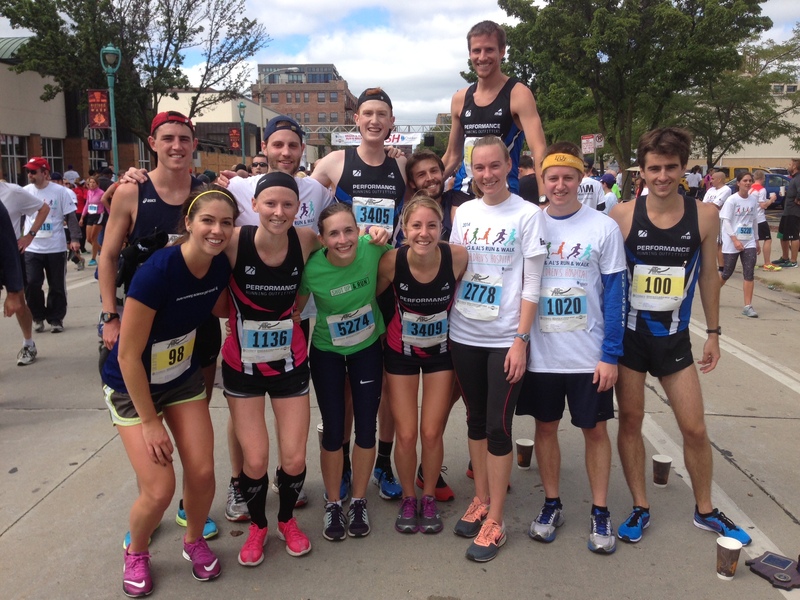 Read on to learn more about what it was like to run for Marquette University, what her training is like post-graduation and what she’s aiming for next. Favorite post-race treat: Smoothies and pancakes! I believe my first race was the Jingle Bell Run 5k when it was at Mayfair Mall. I remember my dad “forcing” me to run it with him, and I hated every single second. I ran it in a Limited Too tank top and windbreaker pants that were synched at the bottom (luckily my running fashion sense has improved!). Despite that, I joined the track team in middle school as I quickly realized my basketball career was not going to go very far. I’ve been running ever since! I do love it, and it provides me a time of the day when I can be alone and not worry about anything else. I love the feeling of accomplishment after a hard run, workout or race. It keeps me sane! Also, running is important to my family, as my siblings are runners as well, and my parents have been our biggest supporters. 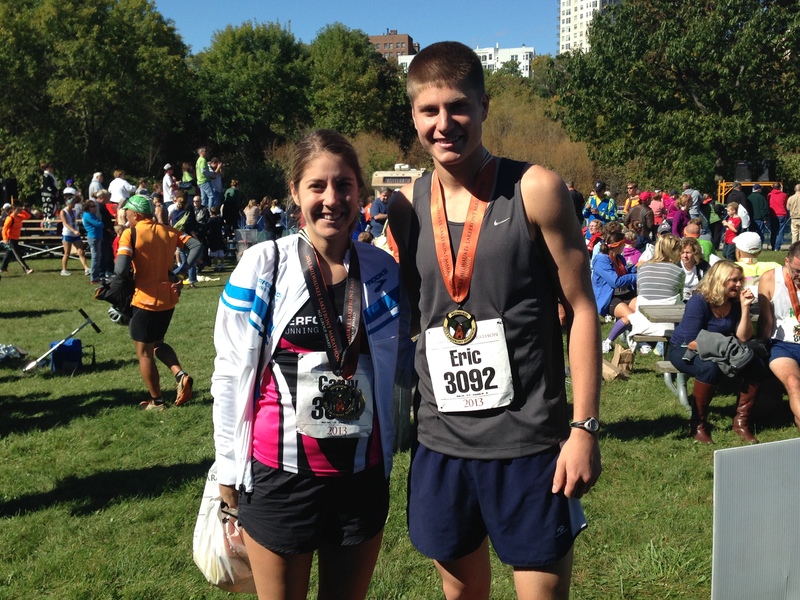 My brother and I did Lakefront the same year as our first marathon, and are running the Chicago Marathon in a few short days! I love sharing a passion with them, and it keeps us connected. What was it like running for Marquette? Which events did you run? 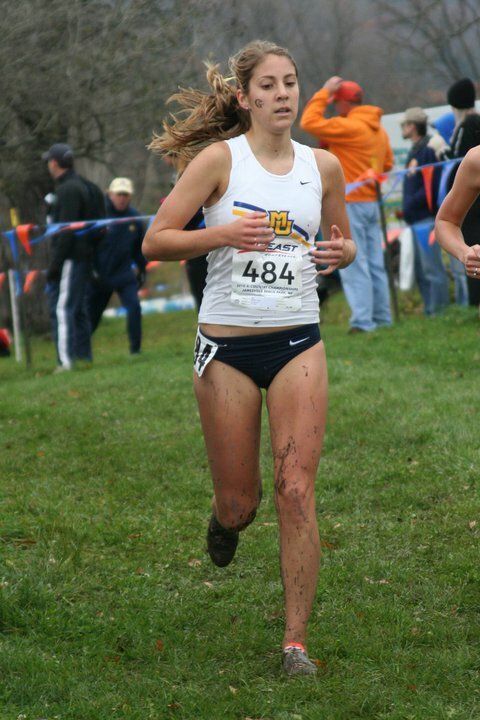 I loved running for Marquette, and am incredibly grateful I could represent the university athletically. I was able to carry on a family tradition as well as my mom and aunt both ran track for Marquette. I couldn’t have asked for better teammates, and luckily they’re still some of my closest friends. Our team had one head coach, so the men and women’s team practiced and traveled together. I ended up focusing on the 5k/10k on the track during my junior and senior seasons. Once in a while I’d mix it up with a 1500. What was the transition like going from high school running to college running? What types of adjustments did you need to make to be successful at the collegiate level? Unfortunately the day after my first official practice (a tempo run) as a collegiate athlete I learned I had a stress fracture in my tibia. It was a tough transition. I was not able to spend time with the team during practice or travel to meets, which made the social transition hard as well. People knew to find me in the trainer’s room or cross training. It was a blessing in disguise though as I was able to focus on my weaknesses and become stronger in order to handle the increased mileage and tougher workouts. Once I was recovered and ready to go, I realized how important recovery, diet and consistency were to training over the next few seasons. I was far slower than my teammates once I did start running again, but staying dedicated and focusing on small things, like core work and recovery, allowed me to make small improvements that eventually added up in the end. What does a typical training week look like for you now? How has your running changed since college? As an Emergency Medicine Physician Assistant, I have a very unstructured schedule. I sometimes work 1st, 2nd and 3rd shift all within the same week. I attempt to run 4-5 days a week and typically average about 30-35 miles/week. I’m currently training for the Chicago Marathon, so one day a week I try to do a long run >10 miles. When it’s nice out, I also enjoying biking with my sister. During college, we had a very structured workout schedule with designated times for strength as well. It’s definitely hard to stay motivated without that structure. My mileage has overall decreased since college and I don’t do many “workouts.” Running now serves the main purpose of letting me de-stress from work and get some alone time. I still love competing though and there’s no better feeling than crossing a finish line of a race! My long runs generally give me a good indication of how fit I am in terms of half and full marathons. 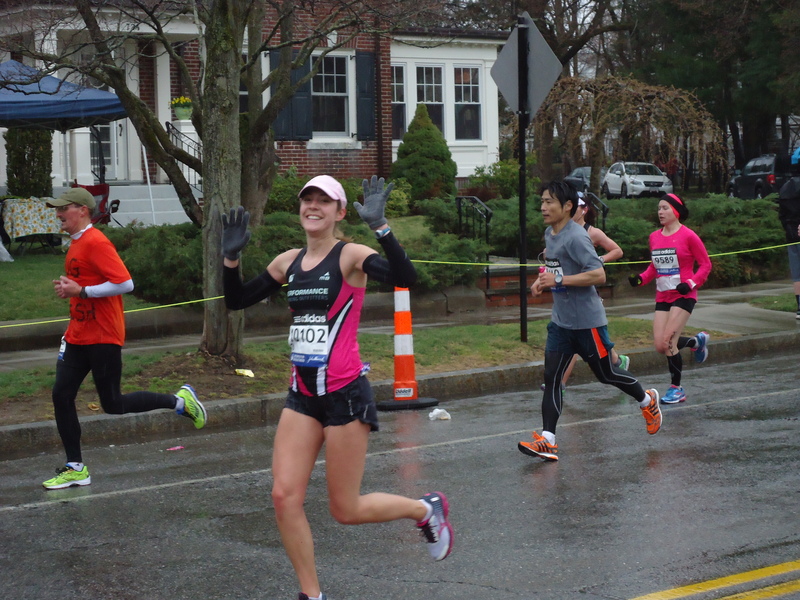 If I feel comfortable and am able to pick it up the last few miles, I know I’m ready to race! I’m hoping that I will be able to run more consistently in the next few months/years than I have since my collegiate days, along with staying healthy. The long-term goals would be to keep aiming for personal bests in the half marathon/marathon and hopefully dip under 3 hours someday for 26.2. I’d love to do a race in Green Bay (Go Pack!) and my dream would be to do a race in Europe, like the London Marathon. The Lakefront and Estabrook trail are my go-to places to run. They never get old for me. My other favorites are the Bugline trail in Menomonee Falls and Root River Parkway in Greenfield, which is a half a mile from where I grew up. The running community is fantastic. I’m part of the Performance Running Outfitters Team, and it’s been wonderful to meet other runners in the community and have support from one another at local races. Even during the Boston Marathon, I connected with other Milwaukee runners during the race and it made it less intimidating. I also love running in all the four seasons, which Wisconsin definitely doesn’t fail to provide. I try to apply it to all areas of my life. It’s a good thing to keep in the back in your mind! I also have to say a huge thanks to my family, friends, boyfriend, teammates and coaches for being so supportive throughout all the years I’ve been running. They’ve sat in horrific weather conditions watching meets, dealt with all of my emotions (from happiness to tears to pain), and understood when I’ve missed events to go to bed early or run. I couldn’t do it without them! Thanks so much for chatting with us, Carly! This entry was posted in MKE Runners and tagged Carly Windt, MKE Runners, Running in MKE. Bookmark the permalink.